And Google does hope [Motorola] can stem its operating losses. The unit, which Google snapped up for $12.5 billion last year, has been a drag on its earnings over the past year. This is hardly surprising. Google’s aquisition of Motorola made absolutely no sense to me then, and it still doesn’t. Even if they purchased them for their patents, $12.5 billion is still a breathtaking amount of money. If I were a Google shareholder, I’d be feeling a bit miffed about the decision. There’s also the message it sends to Android OEMs. As Microsoft did with their Surface tablets, Google have essentailly entered into competition with them. The good news for Samsung, HTC and the like is that the Droid line of handsets have yet to make a meaningful dent at all. This gets us back to the “why did Google buy them?” question. When the buyout news first broke, I wondered whether Google would withhold key parts of Android from their partners to give them a competitive edge. It’s entirely possible, they’ve held back the Android source to all but a select few partnets before. 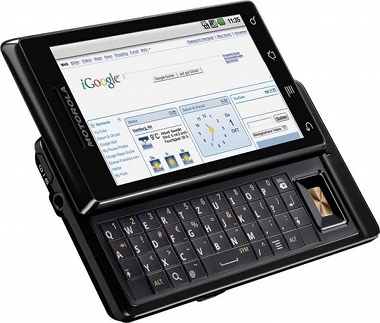 Funnily enough, if I were to buy an Android handset today, it’d be one from Google/Motorola. I don’t want the added telco cruft and OEM user interfaces. It’d be like the Microsoft Signature Experience for Android. To be honest, I’m surprised the market penetration of the cruft-free iPhone still hasn’t changed people’s attitutes towards crapware. I guess price is still the biggest selling point.